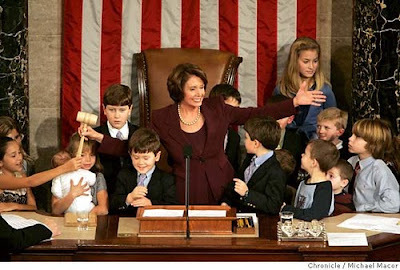 Congresswoman Pelosi has five grown children and seven grandchildren. USCIS 100:47. Nancy Pelosi was the first female Speaker of the House. What is the name of the Speaker of the House of Representatives now?